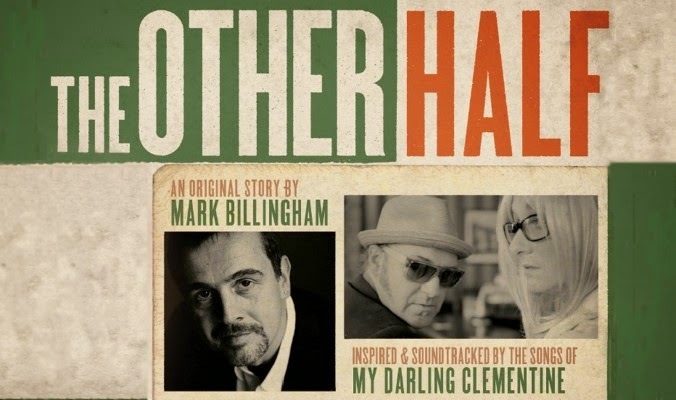 Where literature and music collide is a perfect wrap for this latest project by top selling crime fiction writer Mark Billingham and the UK’s premier act for keeping the flame of classic country alive My Darling Clementine. For one night only, the studio venue at Birmingham’s Repertory Theatre was taken to downtown Memphis and awash with a sound spanning the length of Tennessee’s Music Highway. 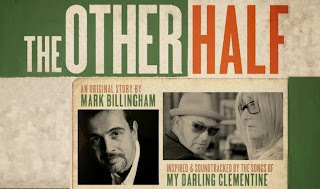 Being a massive country music fan himself, I’m sure Mark Billingham was happy to let the evening evolve into a dynamic display of duet indulgence as his own reading of The Other Half was periodically splintered by the musical interjection of Michael Weston King and Lou Dalgleish. With the songs of My Darling Clementine ripe for some form of literary collaboration, there was an inbuilt synergy with an author whose chief character D.I. Tom Thorne is an avid follower of western leaning music full of vivid stories and twang. Taking the location of his story from the song ‘Going Back to Memphis’, Mark tells a simple on the surface tale of three couples frequenting a rundown bar. With the exemplary oratory skills of the author, the story unfolds in the first hour of this double billed show as Michael and Lou choreograph their presentation of subtly inserted songs in sync with the ebb and flow of the tale. You have to adjust your listening skills between the intensity of the reading and the more relaxing state of savouring the songs of My Darling Clementine. However the merging of the two art forms was pulled off with professional ease. The subjective nature of art saw an individual adaptation by Mark with the songs merely providing a backdrop rather than the narrative. While expecting a more significant music segment after the break, the number of songs interspersing the reading approached near double figures. Unsurprisingly ‘By a Thread’ opened the evening and other songs such as ‘No Heart in this Heartache’ and ‘No Matter Tammy Said’ were skilfully weaved into the first half as Michael and Lou appropriately marginalised their onstage chemistry. After the break we were duly entertained with a full hour of My Darling Clementine as normal service was resumed with their cutting satire, dry humour and full blown song presentation. An excellent sound system bestowed a venue not the usual domain of consistent live music and, though there will always be a difference with the full band, the acoustic flow from stage to audience was impeccable and impressive upon reception. Both My Darling Clementine albums were heartily raided with ‘King of the Carnival’ and ‘Departure Lounge’ being particularly enjoyed on a personal basis. Either side of a two pronged cover song presentation, were perhaps the two outstanding moments of Michael and Lou’s performance. 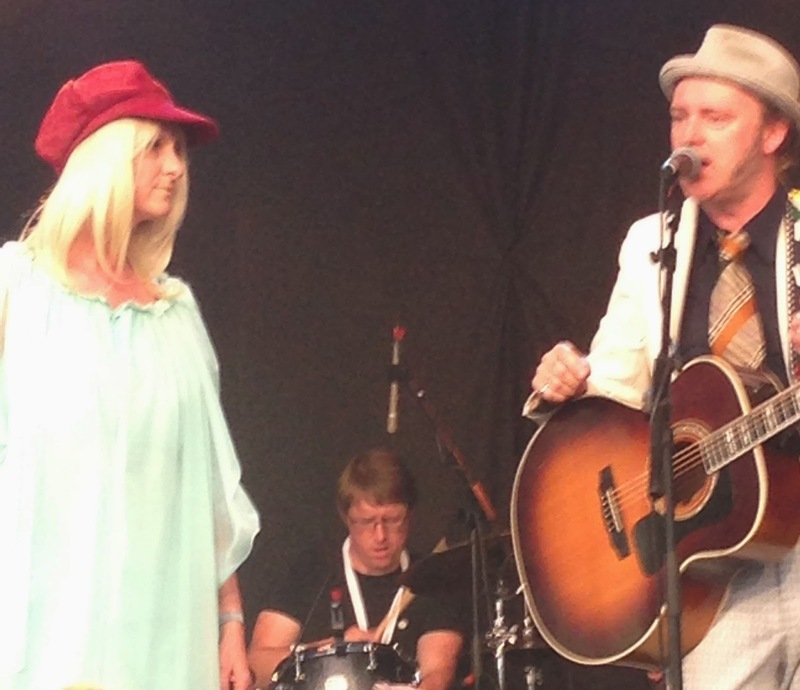 Just prior to paying respects to George Jones with ‘She Thinks I Still Care’ and inviting Mark back to the stage to sing the timeless classic ‘Heartaches by the Number’, we were moved by an extra emotional version of ‘Ashes, Flowers and Dust’. Another heartstring pulling number sent the audience home content as the duo shared a personal tale of their own in the song ‘Miracle Mabel’. This may have been a left field collaboration but as a project it worked extremely well and its short run as a live production deserves to be well supported. It would be a pity if no recorded format was made available to capture the evocative mood of the first half and such a product would perhaps help bridge the gap between the present and where My Darling Clementine go next with their music.